It would be great to be able to look forward to a better 2017. Unfortunately, in Venezuela as in the rest of the world, it is in 2017 that 2016’s tragic legacy will actually take hold. Not only did 2016 see an excruciating economic contraction leading to scarcities of food and medicines, lootings and unnecessary hunger and death, it was also the year that Venezuela moved from electoral authoritarianism to unhyphenated authoritarianism. This means that 2017 will see more of the same but with even less hope for positive change because of the lack of a credible electoral solution. This is not to say the situation is stable. To the contrary, it is fragile, combustible and could spin out of control at any time–perhaps for better but more likely for worse. Thinking about Venezuela in 2017, then, invites more questions than predictions. 1. Will there be a transition? Will it be democratic? Venezuela currently has an unpopular government with ever less support, but which holds the most important levers of power: four out of five branches of government, the state oil company, and the armed forces. They have used these levers to: neutralize the one branch of government they do not control, postpone a referendum they would have surely lost, and control the street protests and lootings that continually threaten their grip. In postponing the referendum has the government spent its democratic credentials meaning it will have to pull back and hold elections for governors and mayors in 2017 and for president in 2018? Or is this the beginning of a headlong slide into totalitarianism? Just asking whether Venezuela is a democracy or dictatorship is not all that useful. Instead we will be looking at constellations of power, endogenous and exogenous impacts that could change them, and the spaces of movement that will frame their dynamics. The government-opposition dialogue is still the most important space of political confrontation at this point and we will be following it closely. 2. Will the opposition get its act together? Beating up on the opposition is easy and we have done our fair share of it on this blog over the past year, unrepentantly so. But we’ve also tried to highlight some of their progress. They put together a valiant effort at a recall referendum, and some major street mobilizations. The AN itself showed some important legislative achievements which should be considered as such despite having been killed by the Supreme Court. At the same time, these efforts were frequently dogged by disorganization and a lack of agreement, both of which result in a lack of strategic thinking. One can’t help but imagine what they could accomplish if they: had a unified leadership, really reached out to all Venezuelans, and put together a solid platform. There seems to be some movement on this front already this year. 3. Who will stick with Chavismo as it falls into decadence? Chavismo has held surprisingly strong and Nicolas Maduro’s popularity is still close to 20%. Most leaders in Chavismo have stuck together, if for no other reason than survival instinct. How long can it last? It is unlikely any expressions of dissent will occur from ministries, which are under the direct control of the executive. But will there come a time when a popularly-elected Chavista leader such as Francisco Arias Cardenas or Jorge Rodriguez says “no more?” Or could other public powers with a degree of institutional autonomy—such as the military, the CNE, or the judiciary—get to the point where they decide to defend their institutions’ integrity over the government’s permanence in power? 4. Can the international community have any influence over the course of events in Venezuela? Hugo Chávez built a regional coalition that was a significant source of strength for his political project. Through Petrocaribe and other forms of economic exchange Venezuela was able to secure the votes it needed to deflect OAS initiatives. At the same time he helped construct UNASUR and CELAC and consolidate Venezuela’s position in the UN. With the decline of the Bolivarian project and a significant shift to the right in the region, this strength has dissipated. OAS Secretary General Luis Almagro invoked the OAS Democratic Charter last May, and Mercosur recently marginalized Venezuela from full membership. What is yet to be seen is whether Unasur can have any serious impact on the Maduro government, and whether Almagro shot his wad with Venezuela, invoking the Charter too soon, and thereby making it difficult to take Venezuela up again. The Vatican is perhaps the most interesting actor with the most potential in the current situation. Could the UN name a special envoy? 5. Will the Trump Administration be isolationist or aggressive with respect to Venezuela? At WOLA we have argued against the US taking aggressive unilateral action with respect to Venezuela. After conceding for about four months to anti-Castro’s legislators’ efforts to make Venezuela into the new Cuba—where sanctions and the reactions they generate in the region have arguably facilitated the Castro’s hold on power for over 50 years—the Obama Administration effectively stepped back from such policies in April 2015, engaged Venezuela diplomatically, and supported multilateral efforts to address the crisis. We originally speculated that a Trump administration would take a hands off approach to Venezuela, given its warming with Vladimir Putin and Trump’s apparent admiration for strongman governments. But the naming of former ExxonMobile CEO Rex Tillerson as Secretary of State suggests there could be a more aggressive stance towards Venezuela. 6. What can we know about the corruption that stands behind the Venezuelan crisis? Chavismo has promoted a Leninist fusion of party, state and economy that systematically undermined transparency, accountability and the separation of powers. The result was a recipe for corruption at a dramatic scale. Corruption is hard to get information on, but we will have a post on it in the coming weeks, looking at some of the latest information. 7. Will Venezuela run out of money? Economics is not our focus on this blog, but it is such a central part of the story that it cannot be ignored. We try to digest the work of those who know more and make debt, currency chaos, scarcities and inflation understandable. Venezuela has such vast resources that the Maduro government’s mortgaging of them could go on for some time. But just when unsustainable economic situations collapse is unpredictable and only happens when it happens. 8. What is the reality of daily life in Venezuela? The governance debacle that Chavismo has presided over has its cruelest effects at the level of individuals and families who cannot put food on the table, get the medicines and care they need, or walk out their doors after dark. But sifting through available information can be difficult. On the one hand, the fact that this leftist-governing project has pompously, often obnoxiously, portrayed itself as an alternative to the global status-quo, makes its melt-down ripe for disaster journalism, social media hyperbole and even video games. 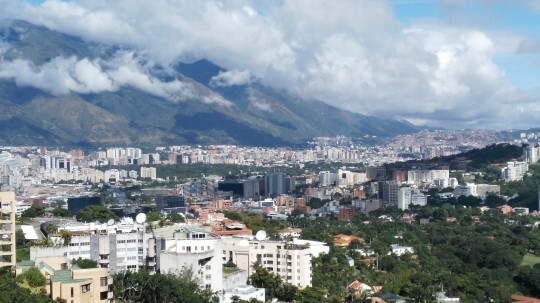 On the other hand, given that Chavismo is guided by Marxist precepts that assume that international capital controls the media for its own benefit, it is to be expected that the Maduro government and its national and international supporters will seek to explain away the crisis as media hype and manipulation—often with their own ample media resources. We will do what we can to separate the wheat from the chaff and provide contextualized information. Our goal is to treat people as ends in themselves, not nodes in political or social positioning. Doing so requires portraying them, and the situations they face in all of their complex multidimensionality. 9. Will the Barlovento massacre be the beginning of the end for the Operación Liberación del Pueblo (OLP)? We certainly hope so. It took almost a year and a half, but finally the terrible violence of the OLP generated social outrage instead of applause, when 13 young men were found to have been tortured and massacred in a rural Afro-Venezuelan area east of Caracas. Despite the fact that 10-15 young men have been routinely killed in these operations since they began in July 2015, this one struck a chord. But it is not clear whether this will be a turning point or a mere blip on the screen of public opinion. We will post a briefing on this in the coming weeks. 10. Will violence continue to get more organized? Will the citizen security apparatus continue to get less organized? That is actually two questions, but they are two sides of the same coin. Our starting point is that violence is the result not of a lack of values, family breakdown, or biographical trauma, but dysfunctional public policy and atomized social structure. Some of the 2008-14 police reform still exists. But it has been superceded by militarized, episodic initiatives such as the OLP. The result has been an increased organization of crime which may or may not increase levels of violence. Rebecca Hanson and I are working with colleagues on a couple of different initiatives to provide scholarly inputs to understanding violence in Venezuela. When possible we will bring our ongoing analyses to this blog.